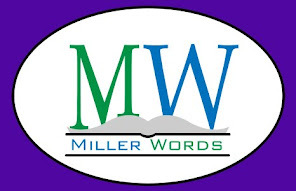 MillerWords' newest author answers a few questions about his name, his story and his Native American ties. JAX lives and writes in the U.S. He divides his time between Montana and the American Southwest. He has also traveled to many parts of the world including the UK, Europe, the Middle East and Asia and he hasn't done it as part of a tourist package. His keen interest in Native American culture has taken him across America as well. Story telling is at the heart of what he does and he uses it to explore the clash as well as the connection between the various peoples of the North American continent. Many Gray Horses is his first work of fiction. MW: Our readers might assume that JAX is a pen name. Can you explain what JAX means or where the name came from? J: It stands for Jacks but is a unique way of rendering it. Out of respect for my Native American friends, I have chosen to use the pen name. MW: Your story focuses on two teenage boys, one Native American and the other raised partially in a Native American culture. The details in the story feel first-hand and authentic. Can you expand on your ties to this Native American culture? J: I’ve been privileged to have friends who were Blackfoot, Cree, Sioux and Navajo. I also experienced the Wounded Knee Uprising of 1973 first-hand. Over the years I’ve lived near several reservations and attended tribal ceremonies and rituals on numerous occasions. It has become a lifelong interaction. MW: I can see you have some strong bonds. It makes sense that you would want to keep that private, while being able to share some incredible stories. Now, there are stories within your story. One of the boys is often telling tales of Native American mythology. How relevant, do you feel, is that mythology today? Does it co-exist or conflict with Christianity/other major religion? J: Native American mythology, the stories of natural and supernatural events, remains strong among some people in all tribes but is ignored by a good many as well. They are attempts to understand and give shape to Native American history and experience. In some cases, they overlap or connect quite well with Christian beliefs and ethics. In other cases, there are great differences. There are Native Americans who embrace Christ who do not want to mix their new faith with Native American spirituality at all. There are others who look for bridges between the two. I expect the same pattern might be true with other faiths as well. 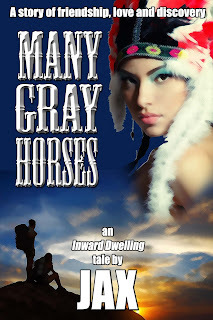 MW: With the themes of self-discovery and budding romance, would you call Many Gray Horses a "YA story for adults" or an "adult story for teens"? J: It is for YA and older adults but the story is told from the point of view of one of the teens who is 16 or 17. I would put the story in a category of 16 and up audience. MW: It honestly is a beautiful story, but it is not a simple adventure and goes beyond coming of age. Do you feel romance is a necessary part of this self-discovery? J: What one of the teen boys discovers is that the love and support of a young woman he admires makes all the difference when it comes to making sense of what he experiences on the mountain. She also makes all the difference when it comes to going further with his journey and self-discovery than he has ever gone before. MW: What you are saying is that romance is a necessary part of life. Thank you for being here today JAX and thank you, reader, for joining us.